The lyric of Marillion's 'Sugar mice' is quite depressing, and one suspects that a divorce drama is part of all the misery. But in fact, it's more about a British worker who emigrates to the USA to escape unemployment, leaving behind his family, and ends up drinking in a hotel bar in Milwaukee. This 12" single features an extended mix of the track, as well as the album version which is about a minute longer than the single edit which was featured on the 7" single. 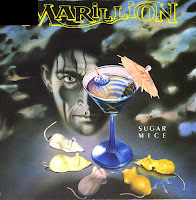 After trying and failing to reach a wider audience with Holidays in Eden, Marillion figured it was time to go back to their roots and make a more progressive rock-oriented album again. The result was 'Brave', a concept album based on a news story Steve Hogarth heard on the radio about a girl who was taken into police custody after being found wandering the Severn Bridge. She did not know who she was, where she came from and refused to even speak. This inspired Hogarth to write a fictional story about this girl and what might have led to her being on Severn Bridge in this state. 'Brave' was not a hit album because of EMI's lack of promotion and the fact that it had no real single potential. However, three singles were released: 'The great escape', 'The hollow man' and 'Alone again in the lap Of luxury'. 'The hollow man' was the most successful of the three, peaking at number 30 in the UK singles chart. 'Sympathy' was written by Mark Ashton, Steve Gould, Dave Kaffinetti and Graham Stansfield, members of the progressive rock band Rare Bird. It became one of the band's best known tracks for its haunting organ-based melody. 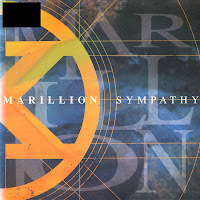 Marillion recorded a cover version of 'Sympathy' for their compilation album 'A singles collection'. It was also released as a single, which peaked at number 16 in the UK singles chart in May 1992. The single even charted in the Netherlands, where it reached number 25 in the Dutch Top 40. 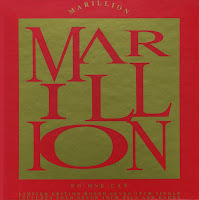 'No one can' was released as the second single from Marillion's 1991 album 'Holidays in Eden'. In the UK, the single was released in a limited edition box set, including a badge and four art prints. Upon its original release, 'No one can' reached number 33 in the UK singles chart. 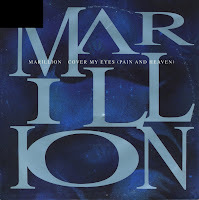 The track was re-released in 1993, when Marillion released a greatest hits album. On that occasion, the single peaked at number 26. Fish left Marillion in 1988, leaving the band with a big hole in their line-up. This hole was filled when they recruited Steve Hogarth, former keyboardist and sometime vocalist of The Europeans. 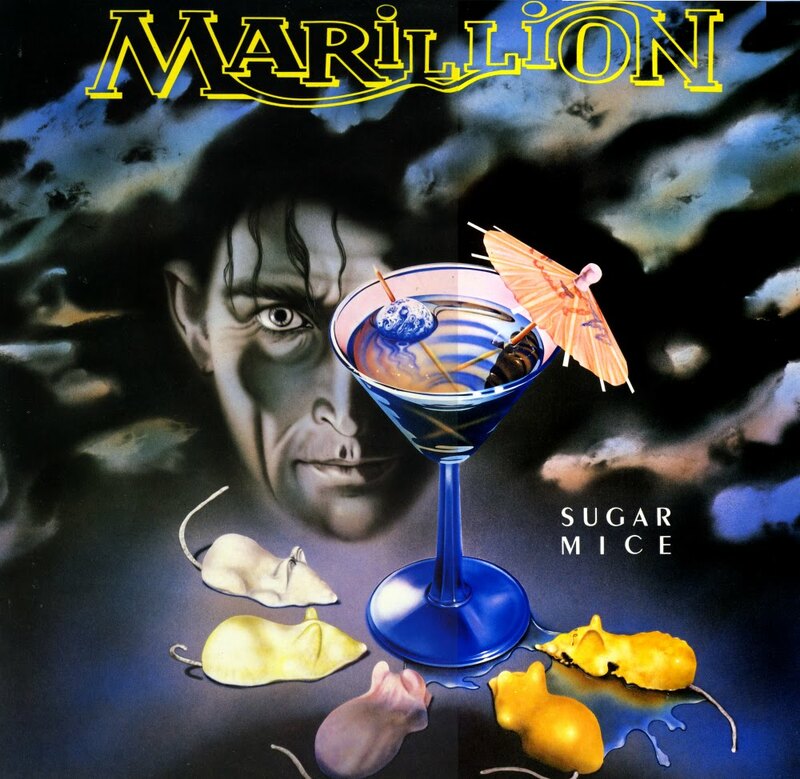 The band had already recorded some demos for what was to become 'Seasons end', Marillion's fifth album. With Fish - who had written most of the lyrics for the four previous albums - gone, Hogarth set about writing new lyrics for the songs that had been demoed. The album was eventually released in 1989. 'Holidays in Eden', their next album, was the first the new line-up of the band actually created together. 'Cover my eyes (Pain and heaven)' was the first single from the album. It was a good success for them, reaching number 14 in the Dutch Top 40 (their biggest hit since 1985's 'Kayleigh') and number 34 in the UK singles chart. 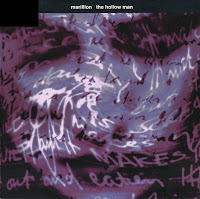 The fourth studio album by Marillion, 'Clutching at straws', released in 1987, was a concept album written around the character of Torch, a 29 year old unemployed man who seeks comfort in alcohol to numb himself. Still, he can't forget his failed marriage, a deadbeat father and a lack of commercial success as a singer in a band. The single 'Sugar mice' wraps up this theme rather nicely, creating a heartfelt and quite dramatic song. The single reached number 22 in the UK singles chart. 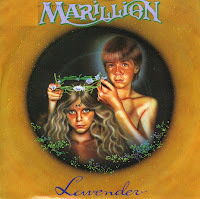 'Lavender' was released as the second single from Marillion's most popular album 'Misplaced childhood'. The song was re-recorded for the single and sounds notably different from the album version. It features a number of verses that are reminiscent of the folk song 'Lavender blue'. As the follow-up to the big UK number 2 hit 'Kayleigh', the song became their second Top 5 UK hit, peaking at number 5. In other countries, the single failed to reach the chart. The single reached number 2 in the UK singles chart and number 16 in the Dutch Top 40. 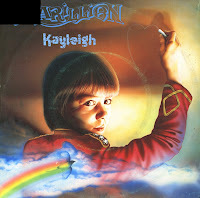 The name Kayleigh became very popular as a result of this song. In late 2005, 96% of Kayleighs living in the United Kingdom were born after 1985.